LAS VEGAS, NV (July 10, 2018) – Diamond Resorts™, a global leader in the hospitality, vacation ownership and entertainment industries, treated members to an exclusive event on Monday, July 9, 2018 with country music singer and songwriter Lauren Alaina, who took the stage for the first time as a Diamond Celebrity ambassador. 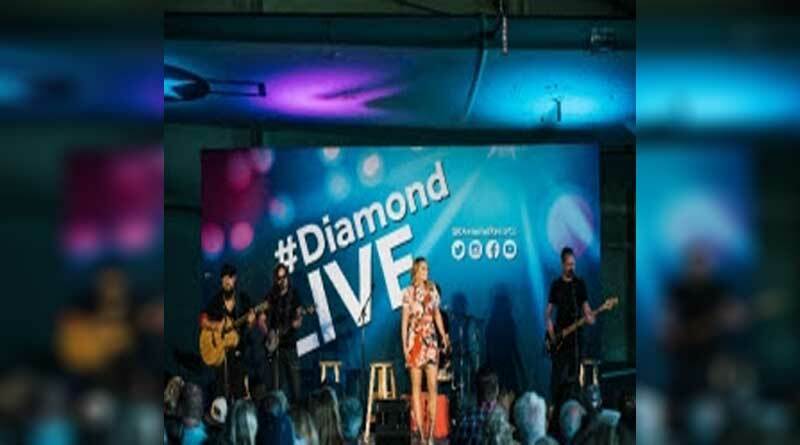 Alaina, who joined Diamond in May 2018, performed the private concert at the Aviation Museum in Virginia Beach, Virginia as part of the Diamond Live concert series. Singing hits from her albums Wildflower and Road Less Traveled, Alaina was “Doin’ Fine” in her new role for Diamond Resorts, meeting and taking photos with members before her performance. Since being named runner-up of American Idol season 10, Alaina has had numerous country music hits and her sophomore album, Road Less Traveled, touched several “Best Of” lists. She won a CMT Music Award in 2017 for Breakthrough Video of the Year and was recently named Academy of Country Music’s 2018 New Female Vocalist of the Year. Currently performing with Jason Aldean on his High Noon Neon Tour, Alaina is scheduled to perform several more intimate shows exclusively for Diamond Resorts members and invited guests this year. At each show, attendees will have the opportunity to meet the star and enjoy an acoustic-style performance. Throughout 2018, Diamond Resorts is expecting to hold more than 100 Diamond Live events, including comedy shows, live culinary experiences and private concerts. Members will have their first opportunity to catch new Diamond Celebrity ambassadors Dan + Shay onJuly 18, 2018 at the Dr. Phillips Center in Orlando, Florida. To see a full schedule of shows, visit DiamondResorts.com/diamond-resorts-concert-series-dates. ← GBG Communique have a “brand new” website and lots of information to share!